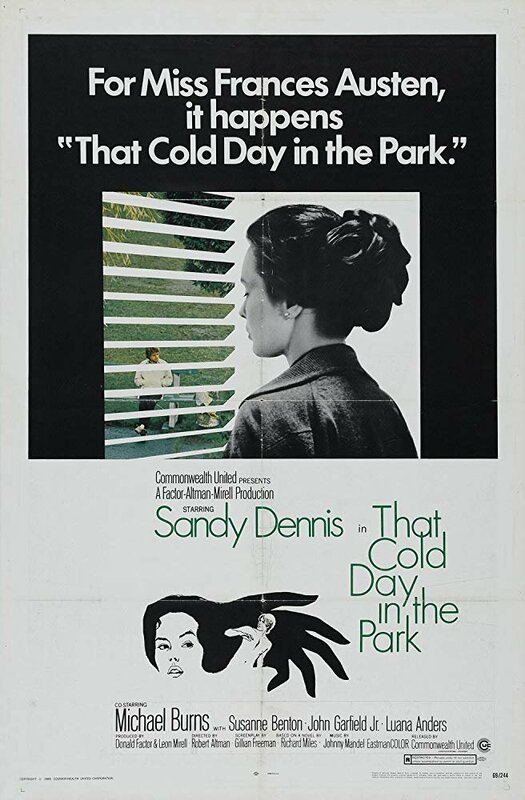 A wealthy and mentally disturbed spinster (Sandy Dennis) goes to extraordinary lengths to assuage her loneliness in Robert Altman's 1969 psychological gothic thriller. On a very cold and rainy Vancouver day, she notices a shivering blond youth (Michael Burns) sitting alone on a park bench. She offers him food and shelter and the apparently mute teenager accepts. Every night she locks his bedroom door, but the boy goes in and out of his room through the fire escape window, returning early next morning without her knowledge. She eventually attempts to seduce him and the boy soon learns who's in control of their relationship and how far she'll go to keep it that way. Masterfully shot by legendary cinematographer Laszlo Kovacs (Easy Rider).